The May 2003 edition of AN featured an article on the People vs Programming conference at Artsway. There was a picture of the live action we will destroy you illustrating the article. 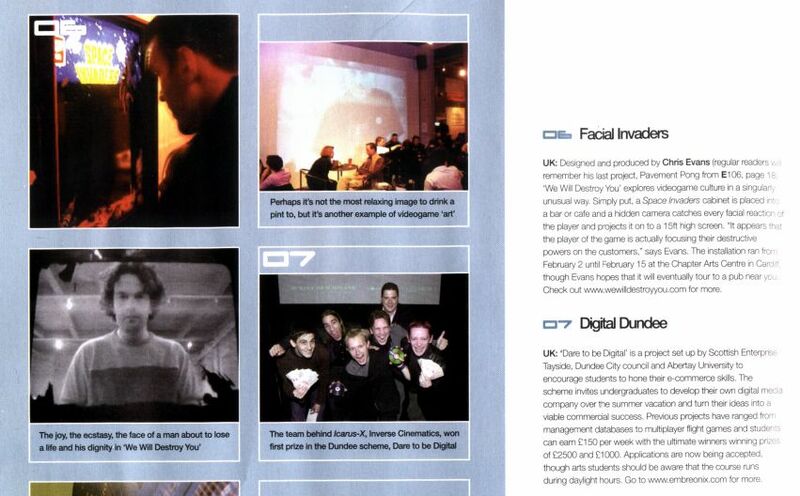 we will destroy you was featured on the Channel 4 program Thumb Bandits on February 22nd 2002. You can see a RealVideo clip from the show, and some video capture stills by clicking here. 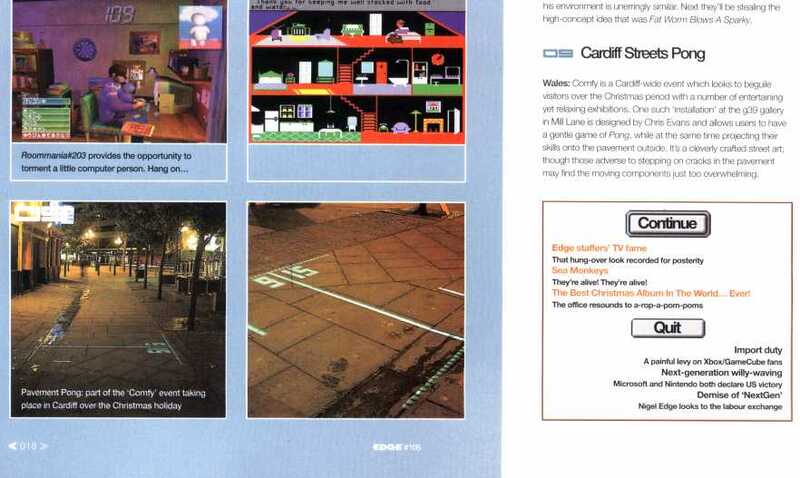 Buzz magazine is a listings magazine based in Cardiff, and they included the show in their art's listings section. And what's more, they gave the installation a thumbs up. So, thumbs up to you, buzz magazine. Edge magazine is a widely respected video games magazine. 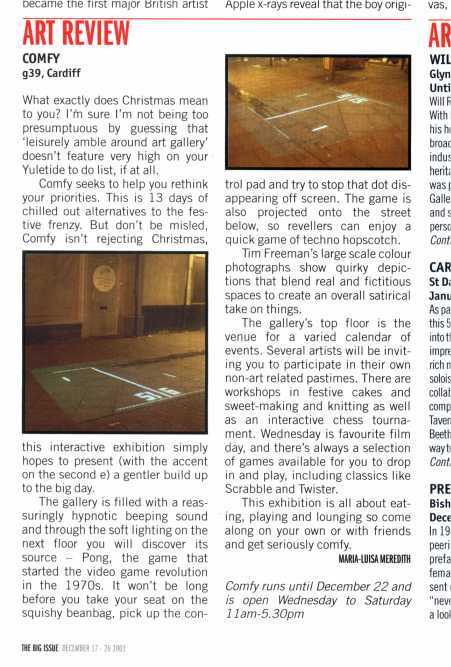 They featured a previous work called 'avoid missing ball for higher score' in the reportage section of Edge 106. You can read it here. They also featured 'we will destroy you' in issue 109. And it's here. avoid missing ball for higher score was part of a show called Comfy at Gallery 39 in Cardiff. The Big Issue Cymru reviewed it, and you can read the review here.